Summary: Lucy’s learned some important lessons from tabloid darling Jayla Heart’s all-too-public blunders: Avoid the spotlight, don’t feed the Internet trolls, and keep your secrets secret. The policy has served Lucy well all through high school, so when her best friend Ellie gets sick before prom and begs her to step in as Cole’s date, she accepts with a smile, silencing about ten different reservations. Like the one where she’d rather stay home shredding online zombies. And the one where she hates playing dress-up. And especially the one where she’s been secretly in love with Cole since the dawn of time. Review: Sarah Ockler has done a great job spotlighting cyberbullying, judging, and bullying in general. Name-calling has always been an aspect of high school that everyone must endure at point or another. But things have escalated with the internet and social media. No longer can you find a safe haven outside of school walls. The internet is everywhere and forever. Lucy has one night in which she makes a total mistake with Cole. In her mind, she will fix everything the next morning, but when she wakes up, her and a handful of people have been outed. On Facebook. The worst part is that everyone thinks it’s her fault, since the pictures and tags came from her account. In truth, Lucy’s phone was stolen and she has no idea who has set her up. Worse goes to worst when all of her friends ditch her, she is being called all sorts of names by the girls in school, her locker is trashed daily, and the internet is having a field day with her pictures and some very creative phrases. 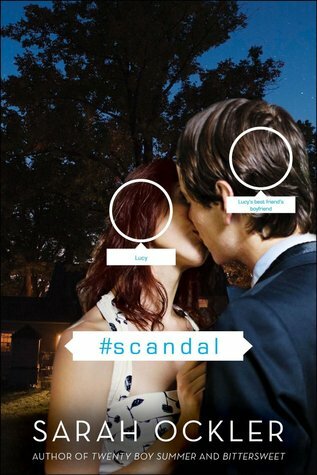 #Scandal sheds light on the dangers of social media and reflects (very accurately) how teenagers love to bash those who are already down. It seems like a “normal high school” thing to do, talk about someone’s indiscretions, but in reality it is bullying. Lucy must face her indiscretions, the bullies, and find her voice, to clear her name and fix something that someone else has started.